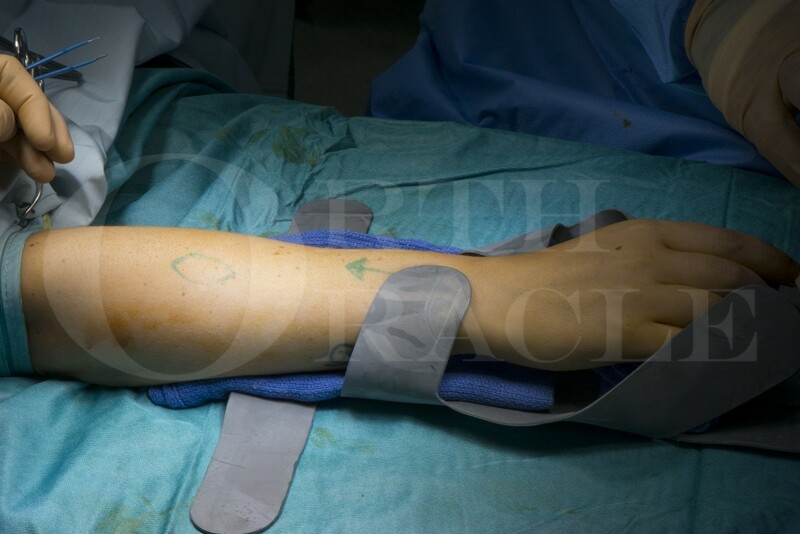 Learn the Excision of benign tumour posterior interosseus nerve surgical technique with step by step instructions on OrthOracle. Our e-learning platform contains high resolution images and a certified CME of the Excision of benign tumour posterior interosseus nerve surgical procedure. Peripheral nerve sheath tumours are rare but the true incidence is unknown as many are asymptomatic and present as spurious findings on imaging for other pathologies. When they are large or occur at natural compression points they are more likely to be symptomatic. Small subcutaneous nerve sheath tumours may present as small lumps that are painful if touched. Most tumours fall into the benign category and are either Schwannoma or Neurofibroma subtypes. A decision regarding excision should consider the clinical symptoms, the current neurological status, the likelihood of deterioration if the tumour grows, the site of the tumour, the potential deficits and their functional impact following surgery.